I remember a special time in college when I would get up an hour earlier than I needed so I could spend an hour in God’s Word. An hour. It seems almost impossible now, as a mother of five with writing, church responsibilities, and homeschooling. Laughable almost to think….but it was my life when I was in college. I felt alone a lot, but God met me there in those moments. My quiet time was not a checklist item. I craved time in His word and spent a long time reading and writing Scripture. Suddenly, I find myself in the mundane and messiness of motherhood. I looked up one day to see my poor little heart was overwhelmed with children, a husband, and even more loneliness. God met me again in those early days as a mother. He met me when I was awake with a crying child. He watched over me as I struggled to find rhythm every two years as I had babies, adopted. Now we settle down again this fall. SIDE NOTE: Don’t tell me I’m the only one who writes things on your to-do list just so you can check them off…. Either way, devotions had suddenly become something I had to do, instead of something I wanted to do, or was privileged to do. I took a step back. I prayed and sought reasons for my apathy. And I realized I had lost sight of WHY I read God’s Word. 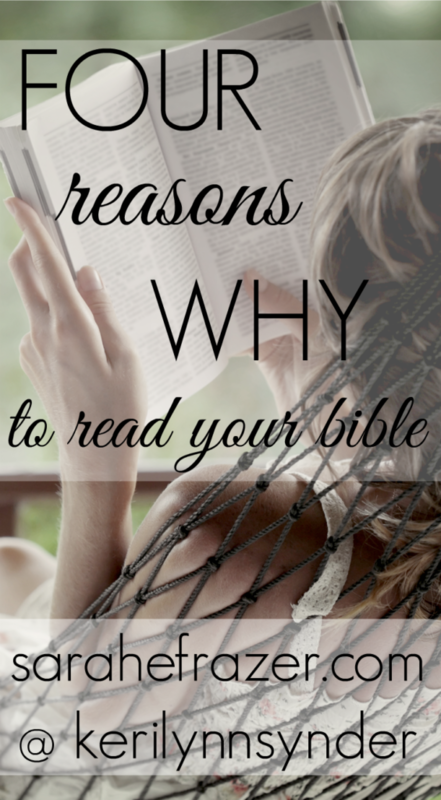 So I made a list….and found Four Reasons to Read Your Bible. I’d love to share them with you…..
Read the rest of the story here on Keri’s site. 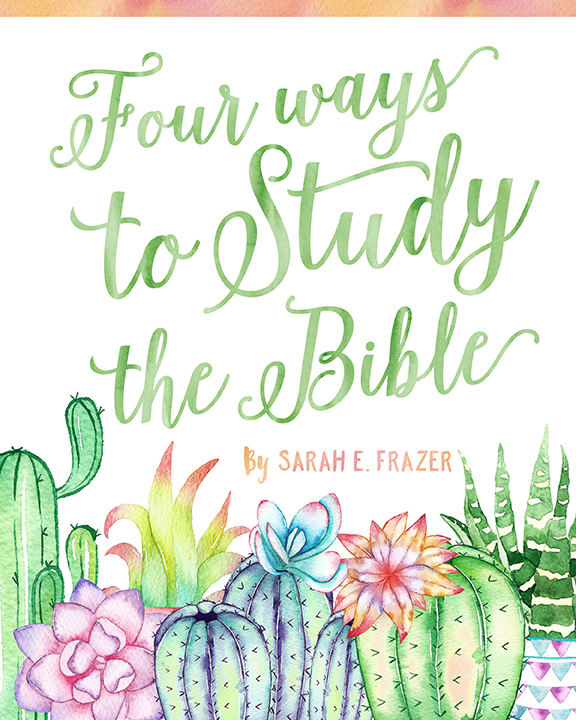 **NOW AVAILABLE** Four different ways to study the Bible. Do you struggle with staying focused? Do you lack motivation to keep going? What method do you like to use to study God’s WORD? I’ve created a unique workbook to help give you OPTIONS when it comes to Bible study!